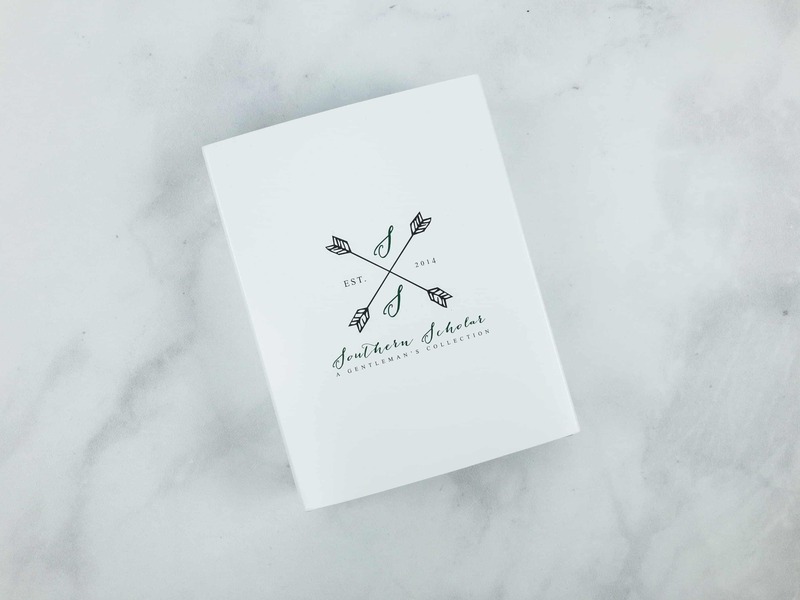 The interior packaging is a sleek, reusable sliding plain white box with a Southern Scholar logo. 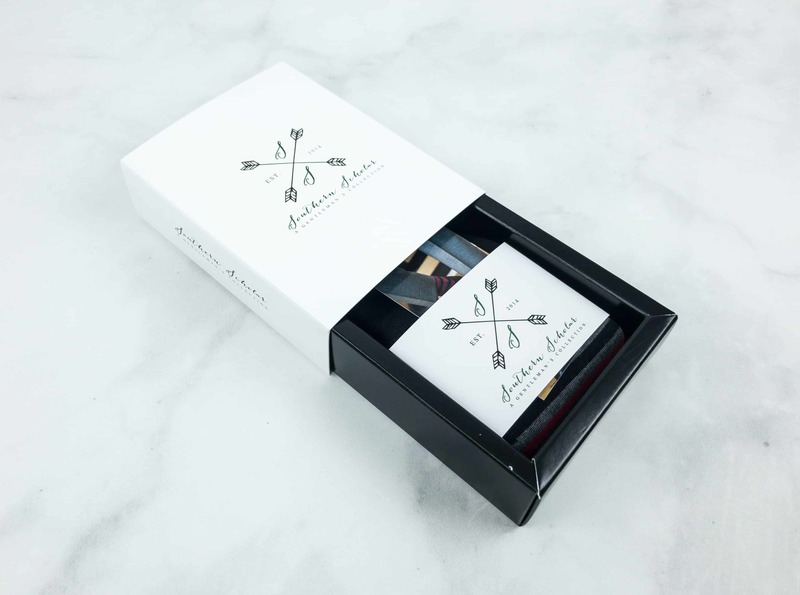 It makes a good stash box for collecting change, golf tees, cuff links, or other trinkets. Everything in the box this month. 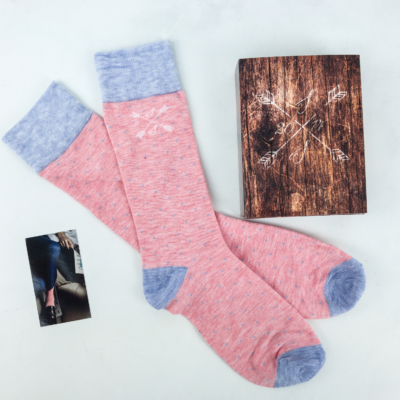 These pair of socks came in a white carton holder with the elegant Southern Scholar logo. 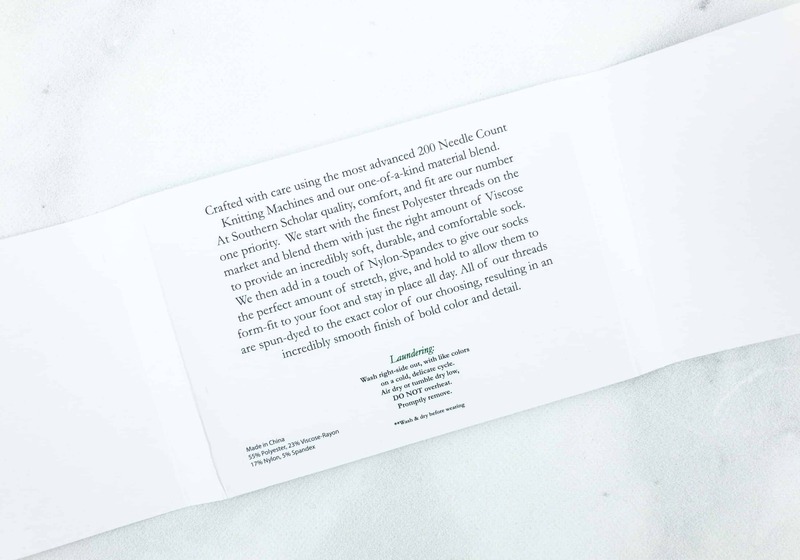 Printed inside the carton holder is a brief description about the socks, how they’re made, and the materials used to create such exquisite socks. The Casino Royales. 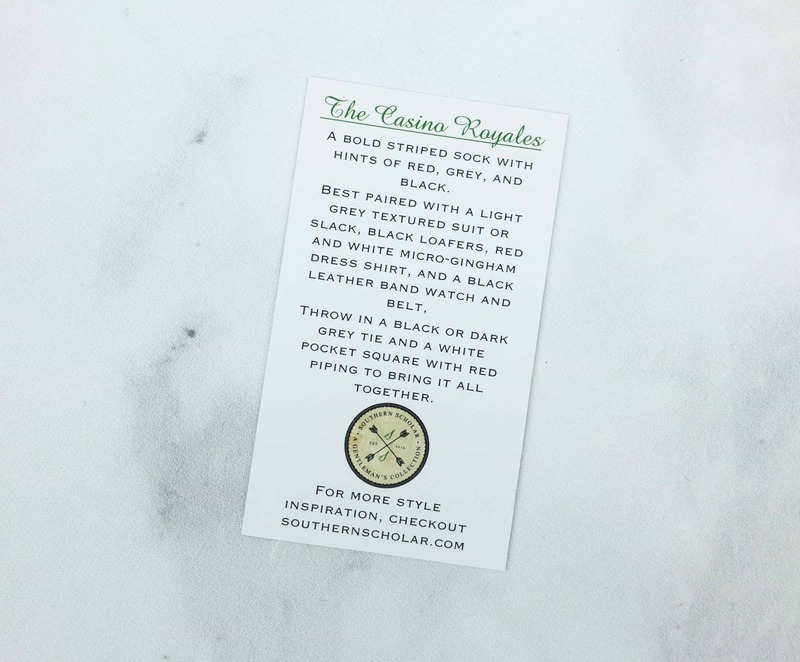 These beautiful pair of socks are made from 55% polyester, 23% viscose-rayon, 17% nylon, and 5% spandex. 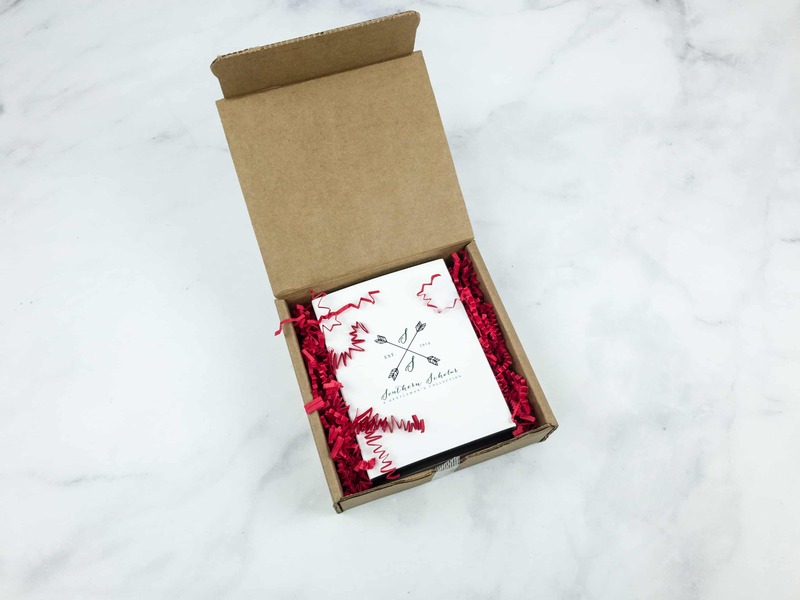 Aside from the white carton, the subscription box also includes a small card containing styling tips that is so helpful. 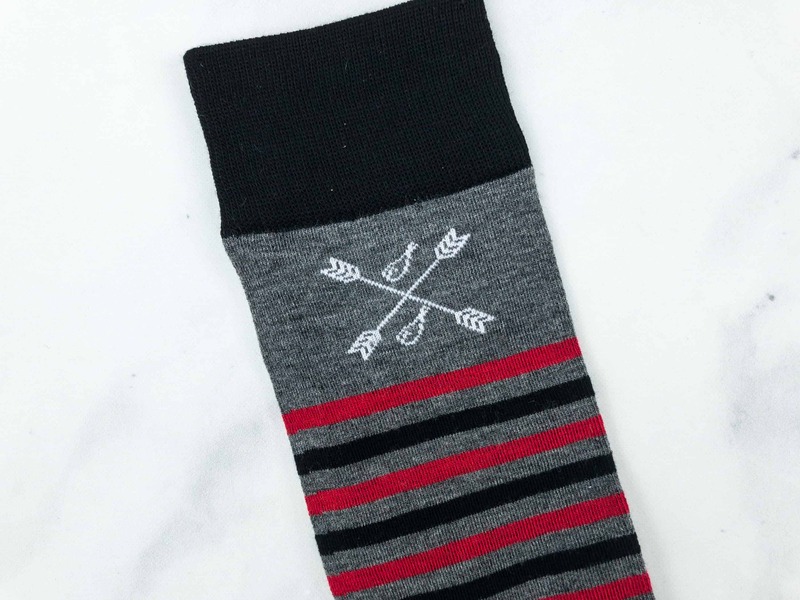 As always, the Southern Scholar logo is also featured below the cuff line of each sock. 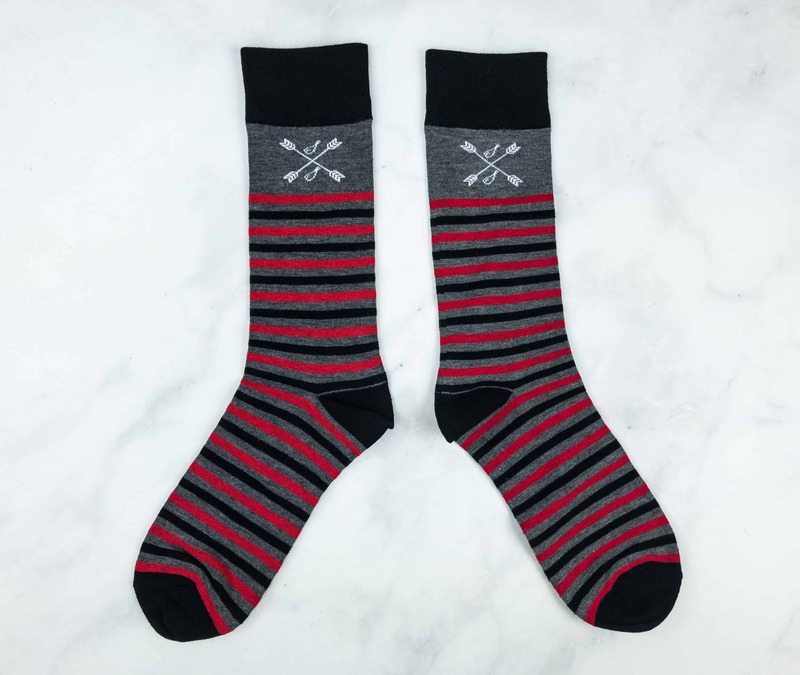 It’s a striped sock with red, grey, and black colors. It also features a reinforced cuff, heel, and toe, providing its wearer extreme comfort and perfect fitting. I’m definitely feeling high-roller vibes! 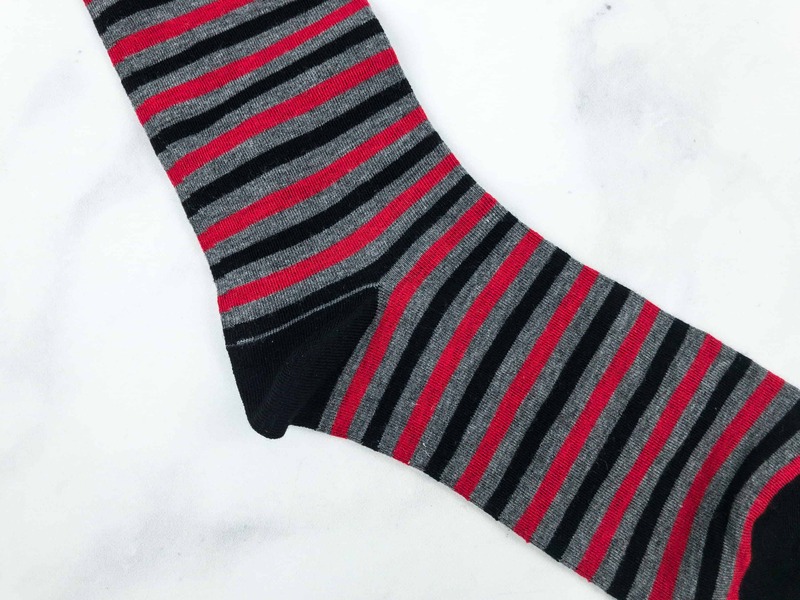 According to Southern Scholar, these pair of socks are best paired with a light grey textured suit or slack, black loafers, red and white micro-gingham dress shirt, black leather band watch, and belt. 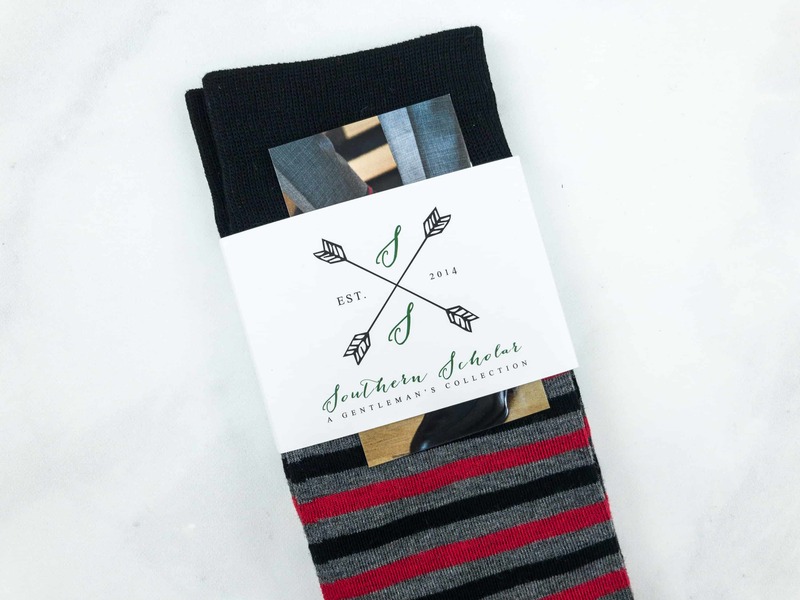 Southern Scholar aims to deliver high-quality socks that help me make a statement in a subtle but stylish way. 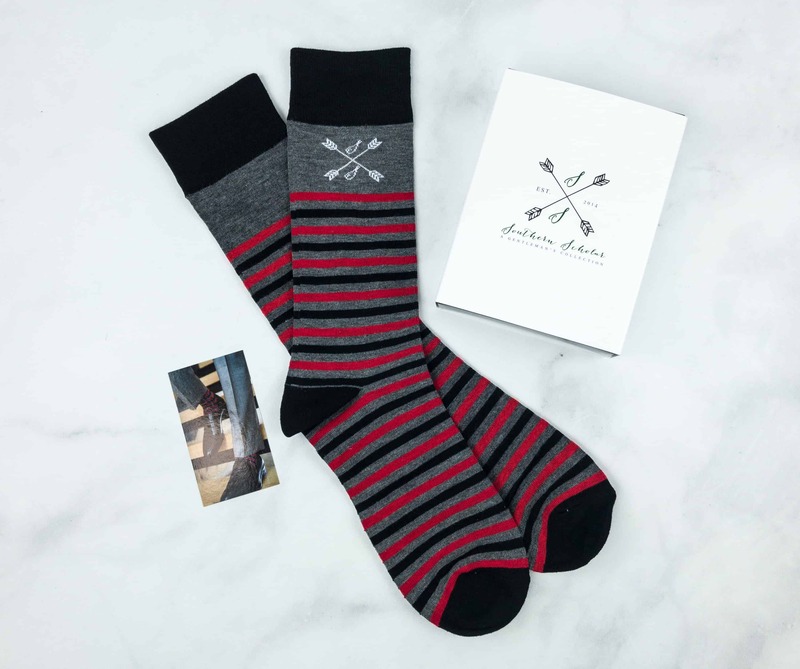 They are the ideal subscription for gentlemen who seek sophisticated socks to mix with their formal and business outfits. 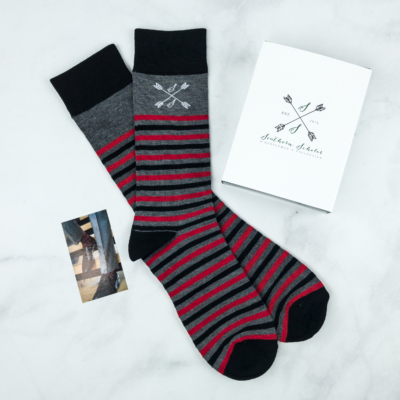 This month’s featured socks looks really great, and I truly appreciate how they took a variety of consideration when choosing the sock colors and designs! Are they perfect for my next casino trip or poker night? Absolutely!